PROFESSIONAL LATIN DANCERS IN ORANGE COUNTY in Orange County Dancing Studios. Dance Lessons & Dance Classes in Orange County. International Champion Dancers with Over 30 Years Experience! Hire Latin Dancers for Shows, Parties and Entertainment! Los Angeles, Orange County Salsa and Bachata Dancing! Click here to book us to perform (or teach) at your show, function or special event! Stephen Thomas - Former Singapore International Dance Champion, United Kingdom Finalist. CHAMPION DANCERS AVAILABLE FOR SHOWS AND TEACHING! Learn to dance with Internationally and American trained Latin, Salsa, Bachata, Mambo, Cha Cha Cha, Swing, Tango and Wedding Dance teachers and instructors. Take the first step toward adding some excitement to your life! Contact us today to arrange your FREE Introductory Dance Class with our qualified professionals in our Los Angeles and Orange County dance schools, and dance your cares away! We offer structured, personalized private dance lessons and dance classes for adults and children of all ages, in any style or level of partner dancing. With over 30 years of dance, performing and teaching experience, we've developed dance lesson programs designed specifically for you, with your interests in mind to develop your dancing as quickly as possible. We are dance instructors, wedding dance teachers & entertainers in Los Angeles, providing Latin Dance, Ballroom Dancing and Wedding Dance lessons and Instruction in Los Angeles, Orange County, San Diego and all surrounding areas of Los Angeles and Southern California. We teach dancing lessons in all styles of partner dancing! Salsa, Bachata, Swing, Tango, Latin and Wedding First Dance in our main Studio locations in Orange County, California. Contact us today to arrange your first dance lesson in Orange County's Top Latin, Salsa and Bachata Dance Studios, located centrally in Orange County. Make your Big Day all the more memorable with one of our specially tailored wedding dance lesson packages. We are Los Angeles and Orange County's Wedding Dance Specialists! We offer all types of dance programs including Wedding First Dance, Father and Bride, Mother and Groom and Bridal Party dancing lessons. We can prepare you for your first dance as Husband and Wife with interesting, fun and custom made Wedding Dance choreography sure to impress your guests, or just help you learn the basics of Ballroom and/or Latin Dancing. If you need advice selecting a song for your Wedding Dance or special event, we will be happy to assist you! We offer flexible and affordable Pay-As-You-Go lesson programs options, as well as dance lesson programs of 5, 10, 15 and 20+ for all of your dancing needs! We teach dance lessons and classes in Latin, Salsa, Bachata, Argentine Tango, Wedding First Dance and all other styles of partner dancing. Our Lessons and Classes are catered to any skill level, from beginner, social dancer, to Amateur Dance Sport competitor. We can also help you look great on the dance floors of the hottest clubs in Sydney, or just feel confident enough to accept or offer an invitation to dance at any function or party. So, whether you are preparing for your Wedding, dancing for leisure, dancing for fitness & weight loss, hitting the clubs, are interested in Pro-Am Dance Sport competitions, or are a Newcomer, Bronze, Silver, Gold, or Open level Medalist Dancer, we can provide the right dance lessons and classes for you. Contact us today and dance tonight in one of our conveniently located Los Angeles and Orange County Dance Studios. Professional Party Entertainment in Los Angels, Orange County and San Diego. Showcases and Demonstrations by Champion Dancers and Party Entertainers! Parties, Corporate Events/Functions, Birthdays, Anniversaries, Charity Events, Film & Media, Schools, Lectures, Wedding Receptions etc. We are International dancing performers and party entertainers available for shows and demonstrations at any type of function, event or party. Our services are available direct to the public, special event planners, party planners and wedding planners. We perform all Latin, Salsa and Ballroom dances to the highest International standard. We have over 30 years combined International & Professional Performing experience and our resumes are extensive, including being National Dancing Champions, and performing at major International events all over the world. Dance Shows & Demonstrations include, optional, individual & group lesson by request. **Please note: We charge a non-refundable booking fee to secure our services, with the remainder payable on the day of the performance. Please contact us for a no obligation FREE Quote! Dance Lesson Programs designed just for you! • University of Freiburg study in 1986: exertion and breathing rates of Latin Dance athletes performing a single dance were the same as cyclists, swimmers and 800m runners over the same two minute period. • University of Oxford 1988: level of fitness of championship Latin Dancers is the same as Olympic decathletes; a dancer performing a two minute Samba experiences the same exertion level as that experienced by an Olympic 100m hurdler. • Peter Pover, former President US Dance Sport Council stated that tests in Germany “found no significant athletic difference between running 800 metres and doing the Jive or Samba for 1.5mins” Sports Illustrated 1995. • Dancing used by a Mexican cardiologist Dr Hermes Ilarraza for heart disease patients. Patients did 30minutes of dancing over five weeks for five days per week and increased their exercise capacity by about a third. • New England Journal of Medicine in 2003 reported that elderly people who danced frequently had a 76% lower chance of developing dementia. Stephen has over 30 years experience in Latin American and Ballroom Dancing, as a Competitor, Performer and atop Dance Teacher. He has competed at the highest Professional level including the British, UK and International Open Professional Dancesport Championships. Stephen is a former Singapore International Dance Sport Champion, Hong Kong International Dance Sport finalist and was placed 3rd at the UK Closed Dance Sport Championships. He has won numerous competitions within the United Kingdom, Asia and Australia, and is now a competing Professional for England and Great Britain with his partner, Amanda Jane. He coaches all levels of dancers from Beginners to International competitors, singles, social dancers and wedding dance couples. 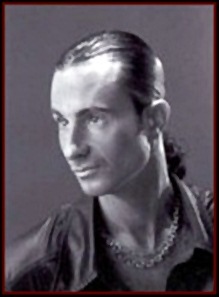 years in London training with the top coaches in the world, he currently resides and teaches in Orange County, USA, and is pleased to be able to pass on his knowledge and experience to dancers of all ages and levels, in all styles. Tango, Mambo, Swing and Ballroom. 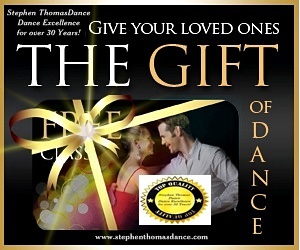 Stephen and partner are resident teachers at the number one dance studios and dance school in Orange County. guide you through their proven social and competitive learn to dance programs. 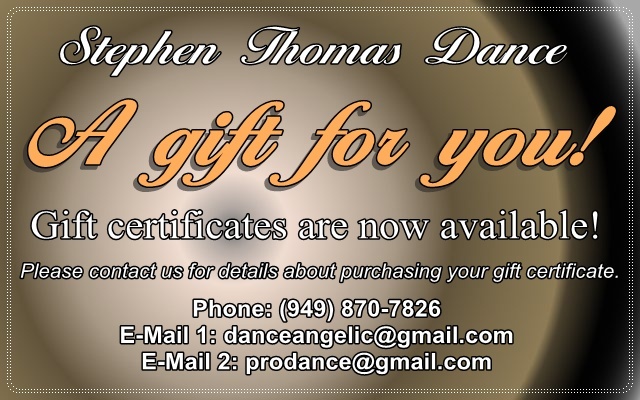 Please phone: 949-870-7826 or e-mail: prodance@gmail.com for further information.